Though we can say with certainty that Finding Nemo didn’t exactly have all of the facts on the nature of toilet plumbing, and all drains, do not, in fact lead to the ocean, there are still some really weird things that have been found in toilets, even if they didn’t come up from the depths of the sea. 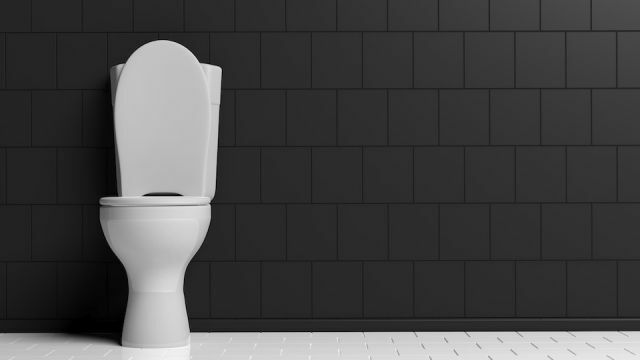 Whether you’re a paranoid toilet user who carefully inspects the seat and bowl before doing your business, or more of a carefree “squat and go type” of person, you’ll probably become at least slightly more cautious after hearing some stories of these unwanted guests, cash fortunes, and ancient artifacts. Here are the top 7 weirdest (and nastiest) things ever found in the toilet! Of course, it was a south Florida family that had the most unusual reason for their clogged plumbing. When Marian Lindquist and her daughter Lilly began having difficulties with their toilet flushing, they decided it was time to call in the experts. Unfortunately for said expert (Alisa Scott of Roto Rooter) the clogged pipe wasn’t your typical plumbing issue. After the family heard her issue a “bloodcurdling scream” from the bathroom, they discovered that she had pulled a foot and a half long iguana from the toilet. It is not just animals that find their way into drains and crawl out of your toilet. Sometimes the unexpected is slightly more rewarding. Chamindu Amarsinghe, a plumber at Australia’s Channel 9 headquarters in Docklands was doing routine cleaning when he discovered over $93,000 stuffed into trash cans, and yes, flushed down the toilet. Instead of pocketing a single dollar, Amarsinghe turned it into the authorities, who, after a thorough investigation were unable to determine the source of the mystery money. Amarsinghe was awarded for his honesty and the judge on the case ruled that he could have $76,000 while giving the rest to the state. Who says that honesty doesn’t pay? When archeologists were preparing Fontainbleu Palace in France for restoration, they probably didn’t expect to find such a treasure in the depths of the ancient plumbing. This team discovered a gold hairpin belonging to 16th century French Queen Catherine de Medici. Though the historic woman was known for her extensive jewelry collection, most of it has been lost or stolen over time, making this an exciting find for the archeology community and those interested in the Renaissance queen. Living in Australia, you have to be okay with seeing snakes on a regular basis. However, this resident made the right call when he brought in an expert snake wrangler to remove the massive 9-foot python from his toilet bowl. Though it wasn’t strictly found in the toilet, this fish was close enough to the porcelain throne to make it on this list. When a McDonald’s employee found a massive fish on the floor of the fast food chain’s bathroom, he was at a loss for an explanation. Perhaps all drains do actually lead to the ocean after all. Hey Buddy!, I found this information for you: "7 Really Strange Things People Have Found in a Toilet". Here is the website link: https://www.thealternativedaily.com/strange-things-people-found-in-toilet/. Thank you.